Earlier today, Heineken reported a near-7% lift in sales from 2015, with the brewer hailing a "strong performance" in the year. Here, just-drinks takes a closer look at the group's performance by region for the 12-month period. Beer volumes were impacted by negative volume development in Russia, the Democratic Republic of Congo, Nigeria and Egypt. This decline was partially offset by strong volume growth in Ethiopia, in exports and Rwanda. Adverse currency impacted sales growth by around 2%, the company said. Tough macroeconomic conditions in Nigeria and in the DRC hit operating profits, while weaker tourism trends in the Middle East and North Africa also had a negative impact, especially in Egypt. Heineken said this was partially offset by a strong performance in Russia and Ethiopia. 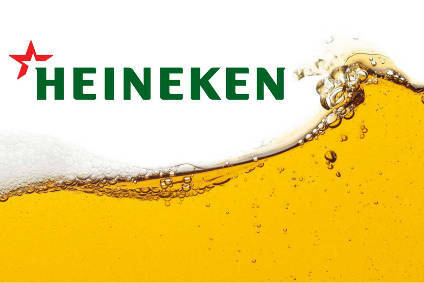 In Nigeria, Heineken said trends improved in H2 to "slightly positive volume". The Goldberg, Life and 33 Export brands performed strongly, due to the outperformance of the value-for-money segment in comparision to mainstream and premium beer, the company said. Despite tough trading conditions in Russia, "effective management, innovation and premiumisation" contributed to both top- and bottom-line results. Growth in Ethiopia was driven by the Walla brand. 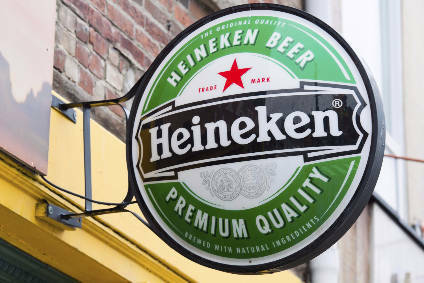 Heineken said all keymarkets within the Americas region contributed to volume growth. Sales growth was driven by higher volumes and higher revenue-per-hectolitre. Improved brand mix also contributed to top-line growth. Despite headwinds on emerging market currencies, currency positively impacted sales by EUR109m, largely on the strength of the US dollar. Operating profit growth was mainly driven by Mexico and Brazil. 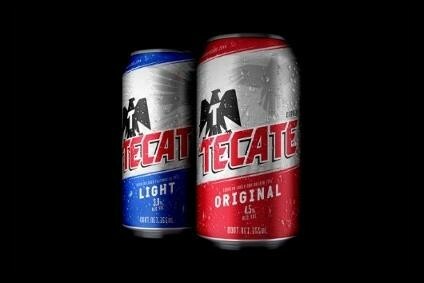 In Mexico, Tecate and Dos Equis volumes both grew by double digits during the second half of the year. In Brazil, brand Heineken saw double-digit volume growth, while the company reported a strong performance in the country from premium brands including Desperados and Sol Premium. In the US, Tecate and Dos Equis volumes were up mid single-digit, with Tecate Light up high double-digits, the company said. Strongbow volumes were up by double digits in the country, as the brewer continues to gain share in cider. Beer volume growth was driven by Vietnam, Cambodia, Myanmar, Korea, and Sri Lanka. Economic headwinds in China and the regulatory restraints on the sale of alcohol in Indonesia adversely impacted overall volume. Despite sales growth in the region, revenue per hectolitre was down by 2.1% in organic terms, impacted by a negative country mix, Heineken added. Operating profits were driven by strong performances in Vietnam, Mongolia, Singapore, Sri Lanka, and Korea, which more than offset weaker results in China and Indonesia. The Tiger brand contributed to volume growth in Vietnam, while brand Heineken benefited from Vietnamese new year. Brand investment and innovation helped drive volumes in Europe, with Heineken and cider leading the way. Loss of export volumes in Portugal and Angola continued to impact overall volumes in the region. A strong Q3, helped by better weather, benefited sales, although deflationary and off-trade pricing pressures hit the brewer's revenue-per-hectolitre, which came in flat in organic terms. Cost management, innovation and premiumisation drove Europe's profits in the year. Higher profits were seen in Poland, Spain, UK and France, offsetting lower figures in Greece and Croatia. The UK saw beer volumes decline amid what the company called challenging market conditions. However, brand Heineken and cider innovations drove volumes at the premium end. In France, growth was driven by Desperados and Affligem. In Spain, Heineken reported improving economic conditions and more favourable consumer conditions, particularly in the country's on-trade. Beer volumes increased in Poland thanks to a re-listing by an "important modern trade customer", Heineken said.